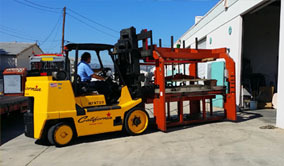 The Long Beach Machinery Movers are a dedicated industrial machinery moving company that seeks to provide clients with small to mid-sized equipment hauling for local California businesses at some of the lowest rates around. We are equipped with three rigs, which are manned by five riggers, and a team of experts who can answer your questions and provide quotes in writing. We offer more than just single truck machinery moving services; we provide dedicated, personalized relocation service for the lowest prices around. 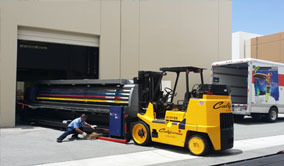 Choose Long Beach Machinery Movers:While most machinery movers in California will charge high rates for less service, the Long Beach Machinery Movers seek to provide personalized and quality service for the lowest rates, whether you are looking for local or national relocations. 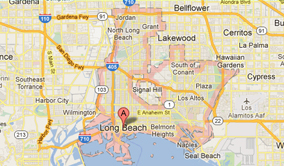 Whether you are planning on relocating your company or are opening a new location, you will be in safe hands with the Long Beach Machinery Movers and their quality, affordable relocation services. Serving All of Southern California:From Long Beach to Fullerton, Ontario to Newport Beach, or even Riverside to Monterey Park, regardless as to where you are in the area, the Long Beach Machinery Movers guarantee a professional affordable relocation. We also provide quality and affordable transportation services for all industries, including those who require cross-country transport. Our larger competitors charge higher rates for less service. 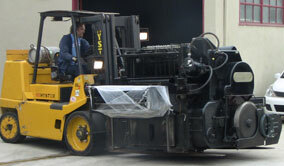 At Long Beach Machinery Movers, we guarantee the lowest prices for moving equipment locally or across country. Whether you’re relocating your business, opening a new site, or you have a heavy duty job, you can trust that Long Beach Machinery Movers provides affordable relocation services! 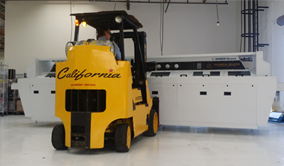 From Wrigley to Poly High, Washington to Belmont Heights, Los Altos to Westside, Signal Hill to Wilmington, and all that’s in-between, Long Beach Machinery Movers guarantees affordable industrial equipment relocation with a personal touch.